The dust has settled on another year of fishing and 2018 is in the books. 2018 was great for me, as I got the opportunity to get my Captain’s license and start working with Scott at Angler Sportfishing. A lot of big walleyes and musky joined us in the boat, and for that, I’m very thankful. 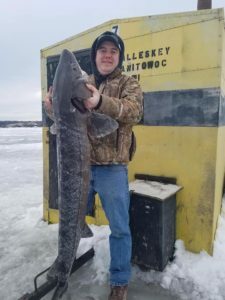 We at Angler Sportfishing have been waiting anxiously for dependable ice on Lake Winnebago and I hope that with this weekend’s forecasted cold weather, we are heading in the right direction. Scott and I are excited to be offering guided ice fishing trips on Lake Winnebago for Walleyes and White Bass, and will post updates when ice is safe for travel and fishing. 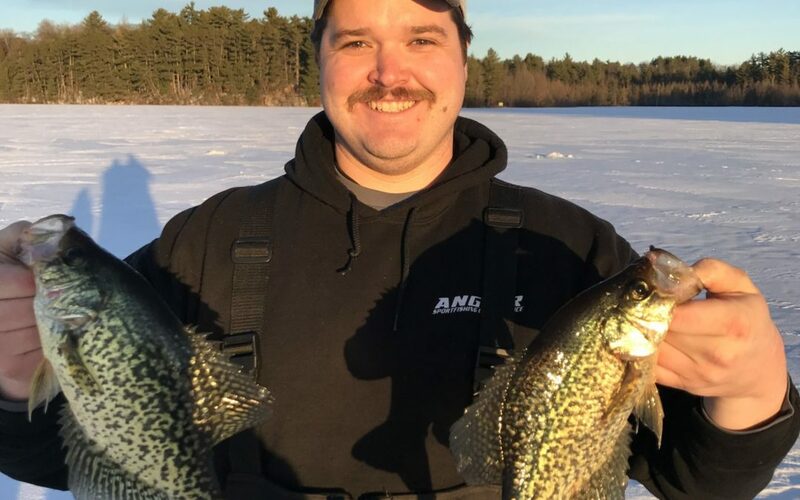 Earlier this month, I traveled to Vilas County and was happy to find great weather and fishable ice. 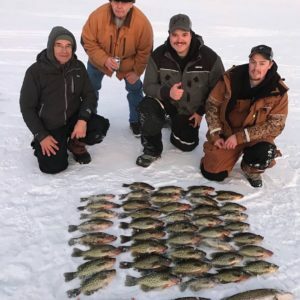 Some friends and I got on a hot bite, catching a bunch of 9-13.5″ crappies in about half a day. Spearing for years and is one of the largest guiding operations on the East Shore of Bago. 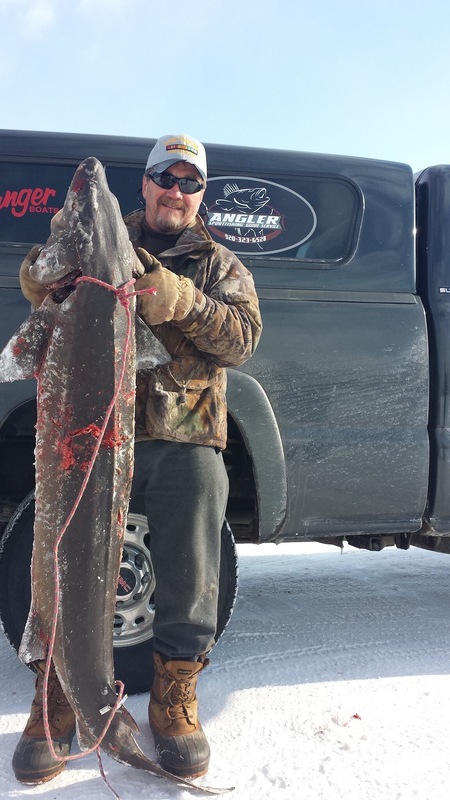 Sturgeon Spearing is an absolute blast and booking a shack through Angler Sportfishing is a way to try it if you don’t have the time, experience, or equipment necessary. A trip with Angler Sportfishing includes a heated shack, decoy, and spear. All you need to bring is your tag and snacks/drinks. Angler Sportfishing is currently booked for Opening Weekend but has openings starting Monday February 11th, through the end of the season.